This entry was posted in cal and tagged basketball, cal, football. Bookmark the permalink. “I don’t know any other school where the fans root so hard for their team… especially when they’re not very good.” Cf. Holiday Bowl, 2005. In complete defense of my team, we should have been in the rose bowl that year. We had some injuries at receiver that hurt us, and I think the letdown factor (for not being in the rose bowl, a considerably more prestigious and lucrative bowl) was too great to overcome. We gave USC, the eventual champion, their toughest game that year at SC. This was when we were at full strength. Texas Tech is one of those teams that can surprise any team with its unconventional offense, and for that one game, we got beat. As you can see, I’m still bitter. And my disdain for UT has brought some conflict issues into my marriage, which is why Tina is at the top of the list when it comes to the day Cal wins the National Championship. great post. you summed up our pain. on a positive note, we’ve come a long way from 1-10. and you do see things in the media like “they’ll face a real test this weekend when they play Cal.” that was crazy talk when we were in school. the Bears are a force to be reckoned with now. but yeah, chris’ comments were hilarious. I’m with you – but in the meanwhile I think we all need to chip in for a winter vacation house in San Diego. Mike brings up a good point too, esp. leading up to T-giving: Thank God for Rutgers! andrew, amazon is having deals on these two hoodies for today only! oh whoops, nm the UT hoodie is sold out already. that’s what happens when you attend a school with a good football team and good fans. Great blog, Drew. 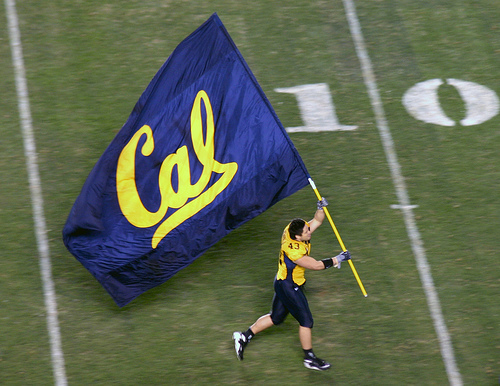 I’m just hoping for the day when Cal football and Cal basketball are both very good. It seems like they take turns being good and not-so-good. As for that USC-Cal game — we should have won. Didn’t Cal have first and goal and couldn’t score (or came away with only a field goal) at the end? hey drew. great post. i’m reading it way later than it was originally posted but i just had to comment. i experienced being a Cal fan overseas for three years and though it was pretty depressing to have wake up at 4am to “follow” cal football games on ESPN Gamecast, it was worth it. but there’s no pain like waking up early in the morning (in the case where i couldn’t stay up or wake up in the middle of the night), going to espn page (which always loads painfully slow) to find out that Cal had lost another close one to USC or some other worthy opponent. there’s nothing like that feeling knowing that you are probably the only one in that country who feels that pain. no one understands. haha. but i did meet this 65 year old m-nary who was a cal grad and we had good fun comparing our cal memories. he still emails his colleague who is a trojan every time we play. we are both waiting to send that email. it will come.